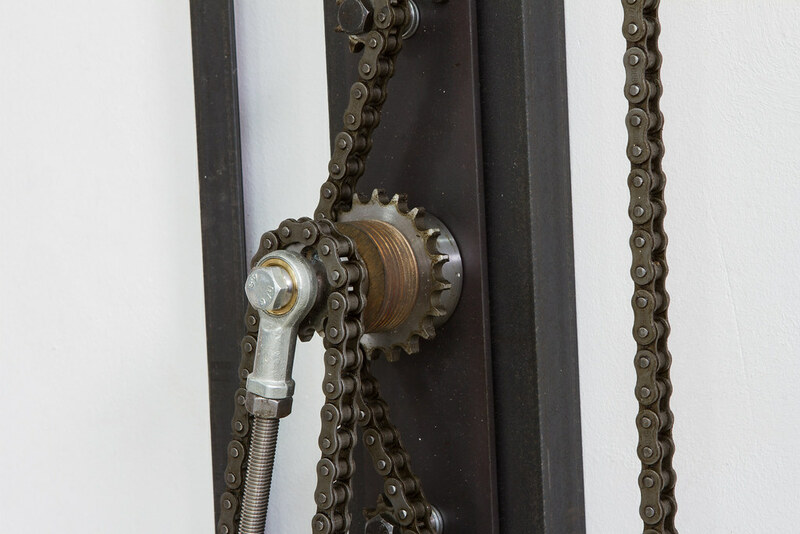 A mechanical construction is mounted on the wall. 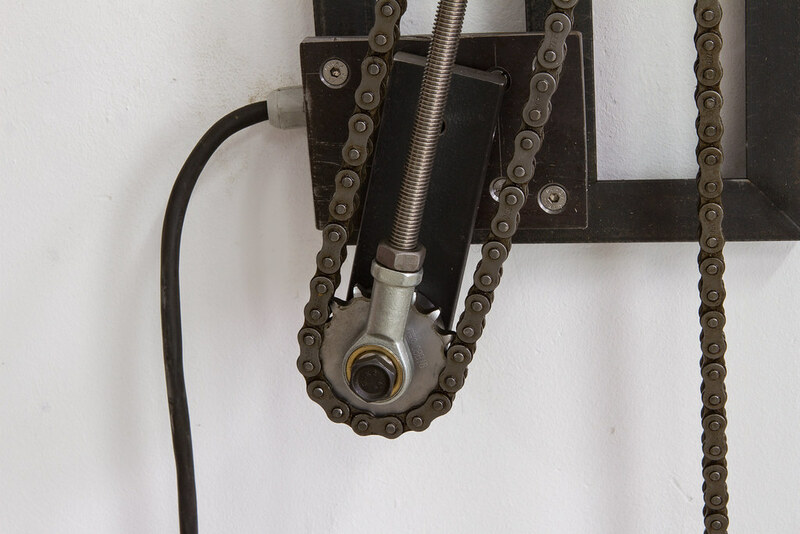 Through several gears, a chain is being drawn in slow rhythmic sweeps. 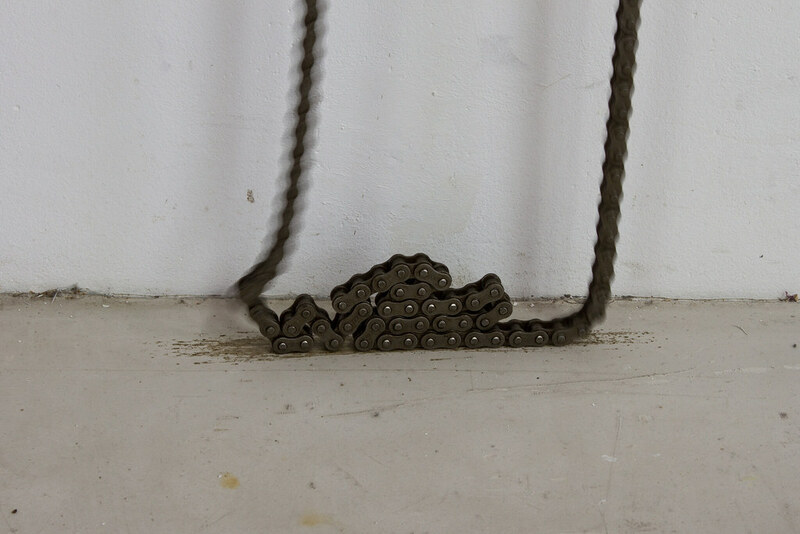 The continuous chain descents from the apparatus where it hits the floor and folds in upon itself, only to be heaved up again to run through once more. 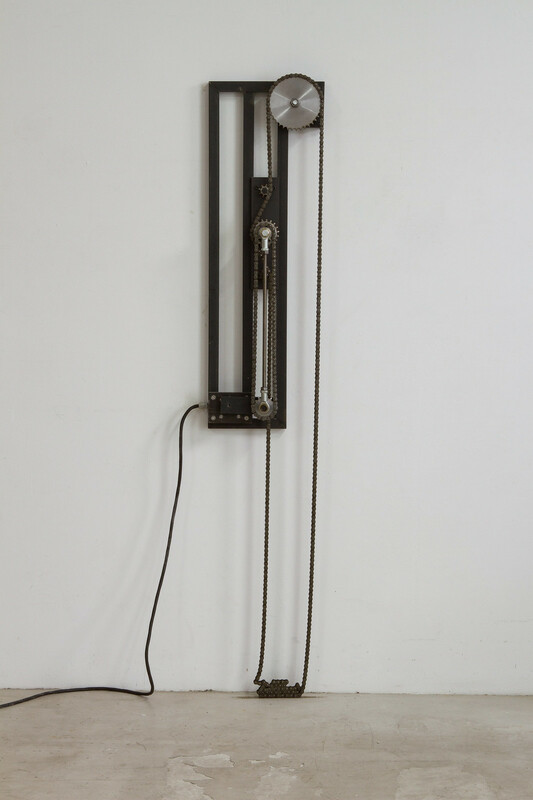 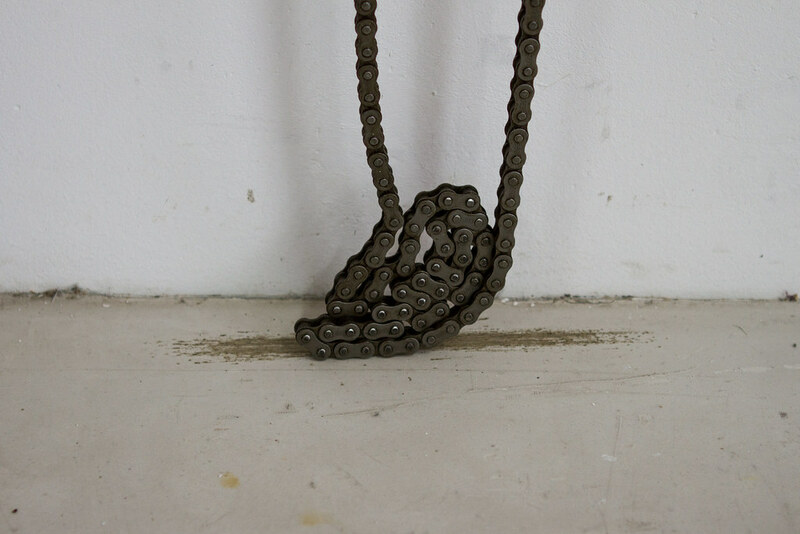 Though external from the construction itself, the sound produced from the chain folding, and being swept over the floor, bears a resemblance to a mechanical breath of the apparatus.